Northwestern will upgrade wireless systems in five South Campus residence halls before Spring Quarter begins. 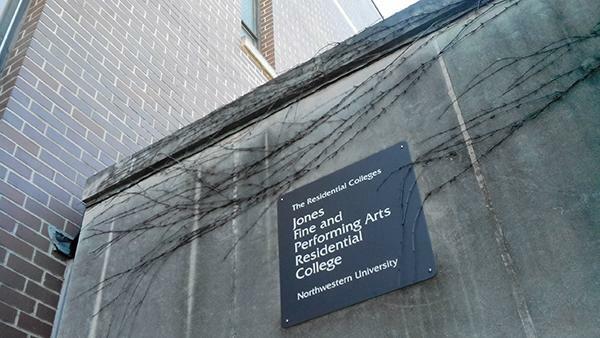 Residential Services and Northwestern University Information Technology will update the Wi-Fi in Jones Residential College, Communications Residential College, International Studies Residential College and North and South Mid-Quads Halls. Paul Riel, executive director of Residential Services, said the University’s goal is to upgrade Wi-Fi in all residence halls by Fall Quarter 2014. Nine residence halls already have Wi-Fi updates, said Timothy Heneghan, associate director of housing. Bobb Hall, McCulloch Hall, Elder Hall, Willard Residential College, Shepard Residential College, 1835 Hinman, Chapin Hall, Hobart House and part of Slivka Residential College have already received updates. Wendy Woodward, NUIT director of technology support services, said the University decided the wireless network needed an update about a year ago. “The reason that we’re doing this is that as students bring more devices to campus, the wireless networks that had been installed were installed many years ago and need to be reconfigured to handle more usage,” Woodward said. Additionally, Riel said a faster network would help support possible new online entertainment packages for students. The University started piloting Hulu Plus accounts for residential students late last month. Riel and Woodward said contractors will install Wi-Fi over Spring Break to cause the least intrusion for students, as some access points will be in students’ rooms and the construction could possibly cause network interruptions. Some minor preparations for the upgrade, such as installation of overhead pipes, are in progress in these buildings. This work will stop before the Reading Period and Finals Week. Communication freshman Erin Reininga, who lives in Jones, said the installation work was a little loud but mostly not distracting.